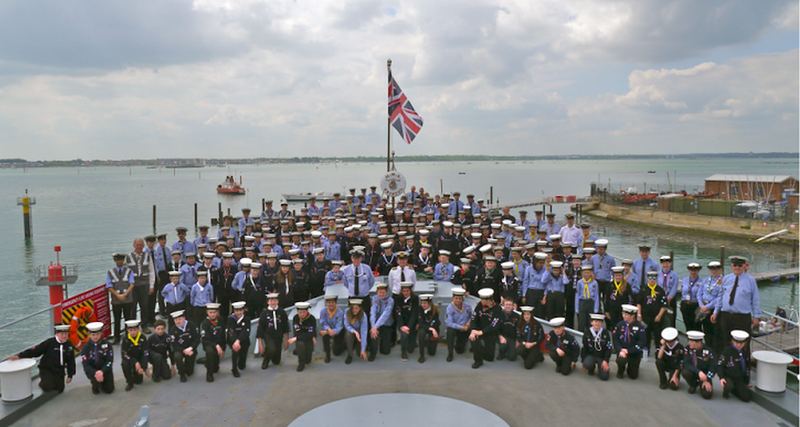 During the May half-term school holiday, eight of our scouts along with Group Leader Peter set off bright and early on their adventure south to HMS Bristol in Portsmouth. On the journey, they were excited thinking about the activities they would be doing and wondering who they would be sharing a mess with. They passed the time playing card games, chatting and catching up on some sleep. After a long but safe journey, one of their first activities was to gather on deck for the obligatory camp photo – an unusual experience being with other scouts who dress the same as we do! 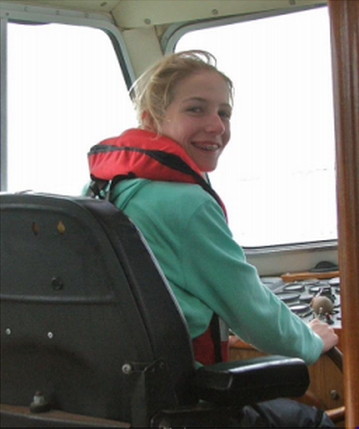 After the not so interesting but important first day jobs of unpacking and doing drills were out of the way, the rest of the week was packed with much more exciting activities; some highlights for our scouts included yachting, kayaking, coracling and RIBs. Sadly, some scouts were disappointed that they did not get their turn at powerboating because of the windy weather. They enjoyed experiencing life on board ship and slept soundly in their bunks every night after all that fresh air. The food was nice and some even report that they really liked marching to breakfast every morning! This year for the first time, the camp newspaper ‘The Bristol Times’ was published online. 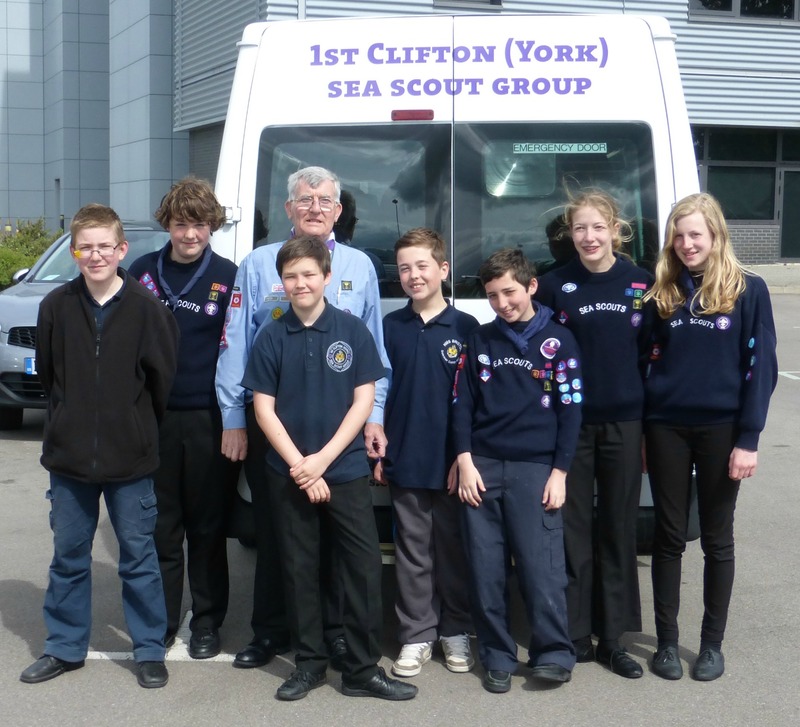 Take a look for more photos and details of what the scouts got up to. Most importantly our scouts had lots of fun and made plenty of new friends that they hope to keep in touch with. It has given them confidence to try more new things in the future. Time is very important and therefore bring a watch, preferably waterproof. Will you volunteer to make a difference?